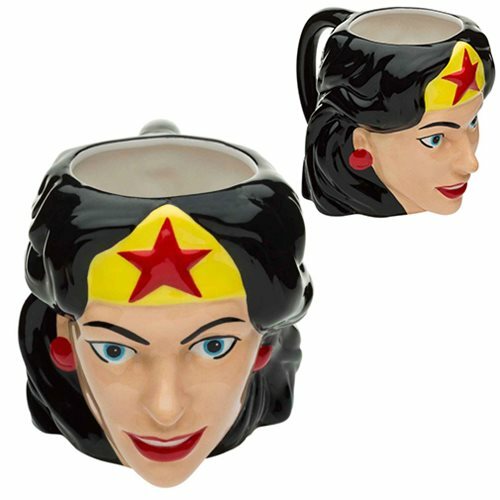 Start your day right using this Wonder Woman Ceramic Molded Mug! Add a little royalty to your morning routine or place this awesome mug on a shelf to admire. Hand-painted and made of ceramic, this sculpted mug measures about 4-inches tall and the rim measures about 3-inches in diameter. Holds up to 12 ounces of liquid. Hand wash only. Not dishwasher safe. Ages 8 and up.